CookDiary does not only assist you on the PC. 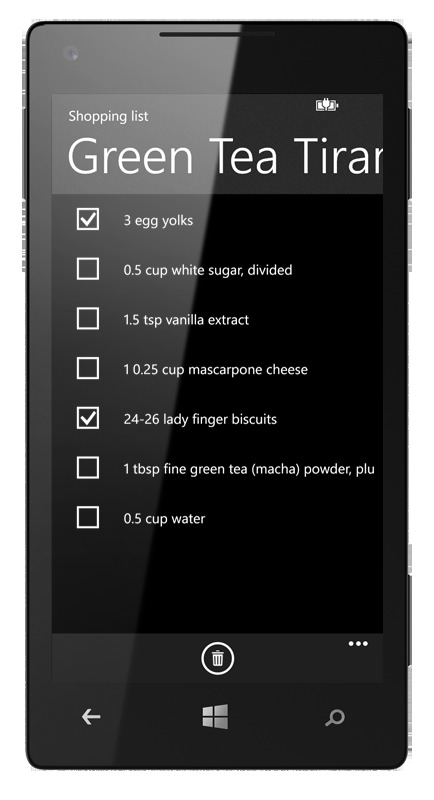 It is also a great recipe software for your smartphone. With the CookDiary App your recipes accompany you wherever you go. You’ll always know what to cook and which ingredients you need. 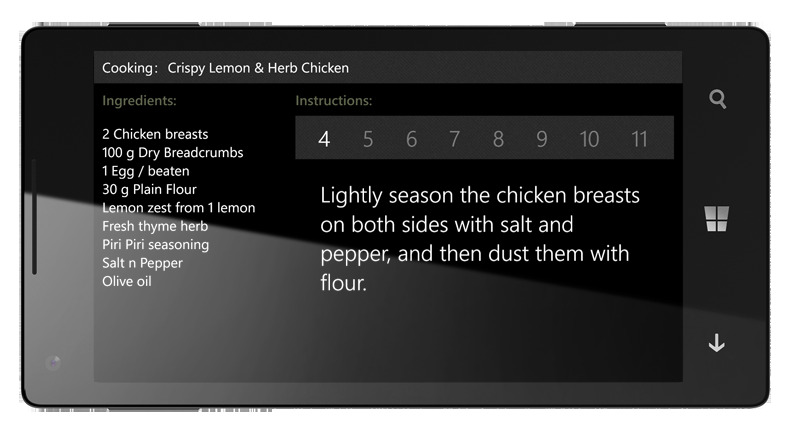 CookDiary for Windows Phone is your mobile cooking program. 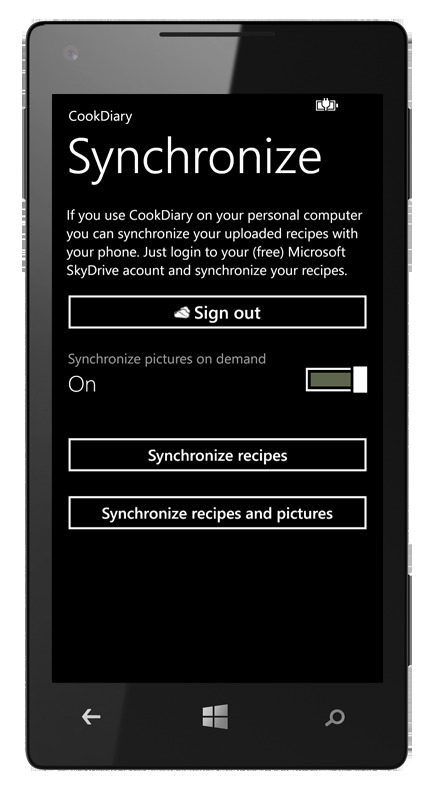 Connect to your OneDrive (formerly SkyDrive) account with your CookDiary Deluxe for PC and upload your recipes. This online storage is provided by Microsoft at no charge. 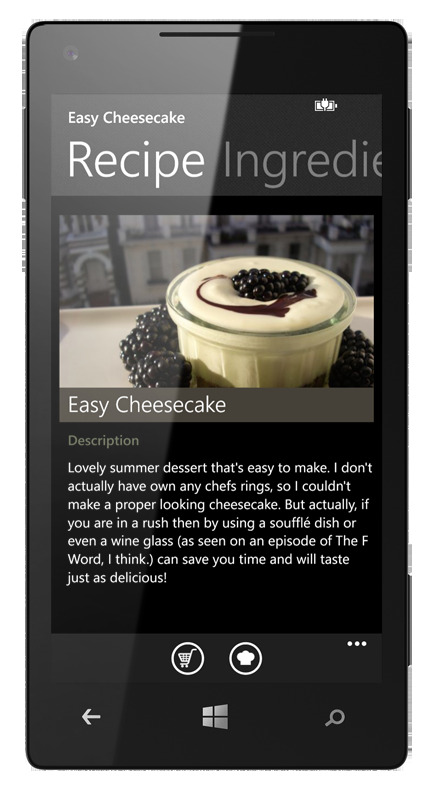 As is the CookDiary-App! 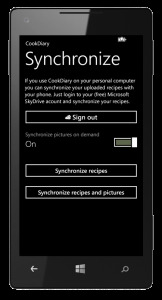 So if you already own CookDiary Deluxe for PC you can get started right away. 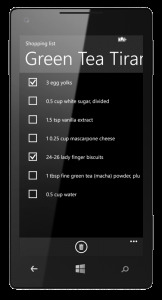 CookDiary Deluxe can upload your recipies manually or automatically. You can then synchronize them to your smartphone. If you have to watch your connection costs you can download all recipes at home with your WLAN and deactivate they synchronization afterward. 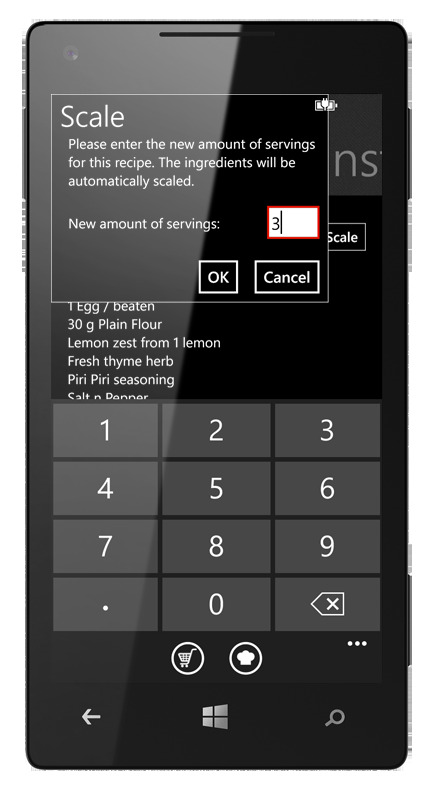 In the supermarket you just choose your recipe of the day, enter the amount of servings you wish to cook and CookDiary scales your ingredients on the fly. 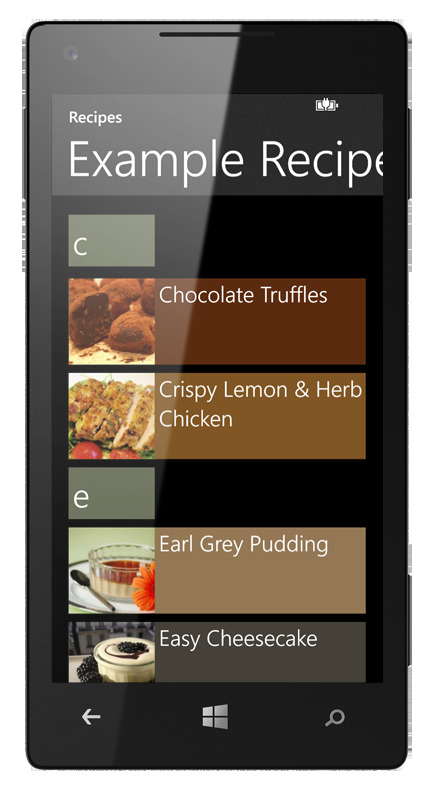 You can also upload shopping lists from your PC to your Windows Phone. 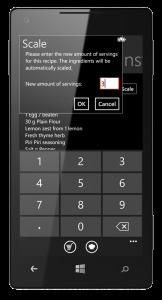 Plan your menus, scale ingredients add further groceries and send it all with one click to your smartphone where you can check of the ingredients in your shopping cart one by one. 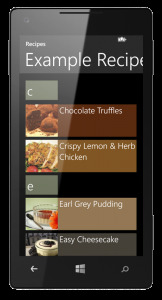 CookDiary’s Cooking Assistant is convenient but desktop pcs are too bulky for usage in the kitchen. 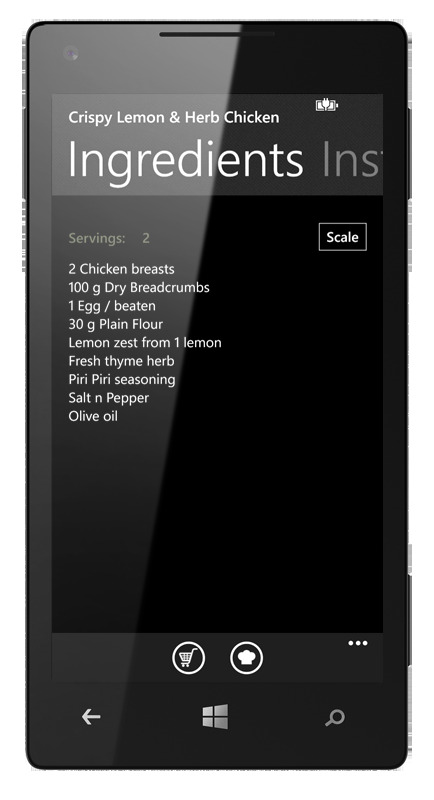 So CookDiary for Windows Phone comes with a fully fledged cooking assistant of its own. 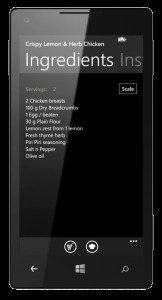 You can easily follow the directions on your smartphone and may even substitute your cookbooks by it.